Interactie is the study association for international activities in the Industrial Engineering and Management field (IEM for short). Interactie was founded in 1996 as a subsidiary of Industria with the goal to give students the opportunity to get in contact with the international aspects of IEM. Interactie is the study association for international activities in the Industrial Engineering and Management field (IEM for short). Interactie began as a committee (Interact.cie) of Industria on the 4th of April 1990. 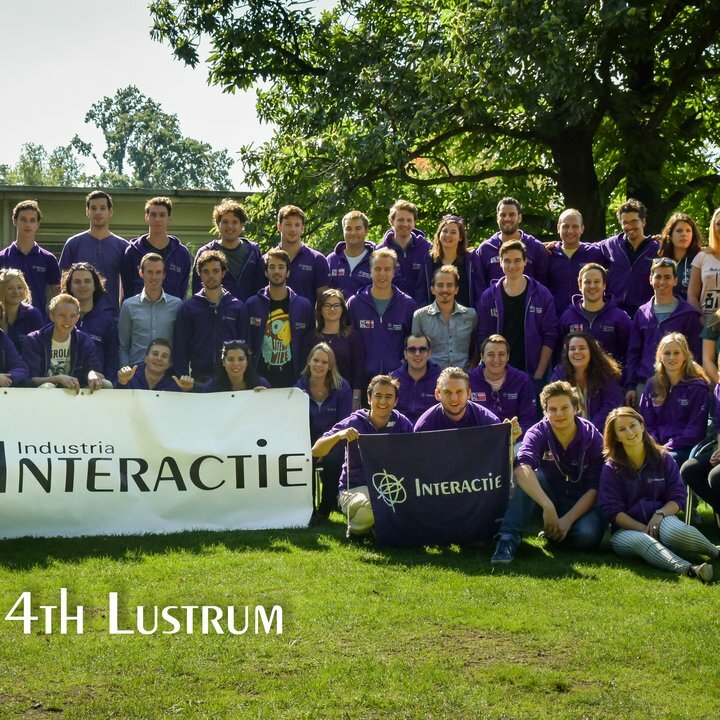 Interactie was founded in 1996 as a subsidiary of Industria with the goal to give students the opportunity to get in contact with the international aspects of IEM. The association has around 170 members, both Dutch and International (master) students. One of the goals of Interactie is to let IE (Industrial Engineering) students experience how amazing it is to travel, meet with and learn from other European IE students. Traveling with Interactie can provide you opportunities such as developing your soft and hard skills and make connections all over Europe. One of the low entry barrier events Interactie organises is an exchange every six months to different cities in Europe. On these exchanges you get to know other Dutch IE students, but most importantly the culture of the other international IE students. Besides the exchanges, Interactie also provides other travel opportunities within ESTIEM. ESTIEM, European Students of Industrial Engineering and Management, represents more than 60.000 students from all over Europe. It is made up of a network of 79 member associations, called Local Groups, in 31 different countries. Founded in 1990, its goal is to build up and strengthen the relationships between IEM students in Europe. Until this date, it is the only Europe-wide organisation for IEM students. All year round, multinational project teams are organising European activities such as student exchanges, case competitions, lectures, trainings and workshops. This makes ESTIEM a unique network that brings together people with different cultural backgrounds and experiences. Do you want to stay updated about all the developments, open positions and open calls within ESTIEM? You can always stop by at Paviljoen U.2 or send us an e-mail to interactie@remove-this.tue.nl. If you become member of Interactie, you’ll also become a member of ESTIEM. This means you can apply for ESTIEM events on the Portal. The site of ESTIEM is www.estiem.org. Take a look and see what opportunities there are for you. Depending on what event you’re going, you will have a week full of lectures on a specific topic, trainings on personal skills, fun activities like city tours and ofcourse awesome parties. On these events, people from all around Europe are gathered with the same goal and are eager to meet you. If you have any questions, you can always send an e-mail to interactie@tue.nl.